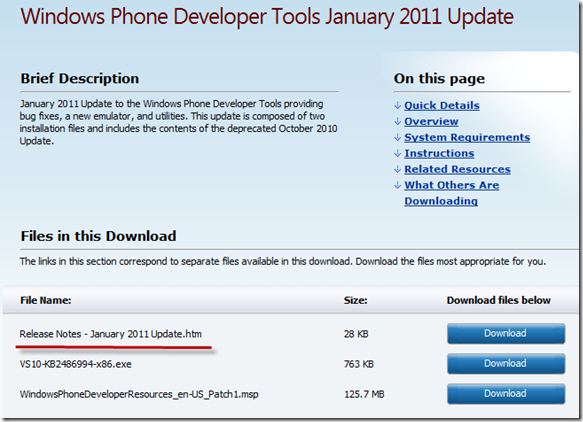 After you download and install the January 2011 Windows Phone update you will notice one annoying thing. 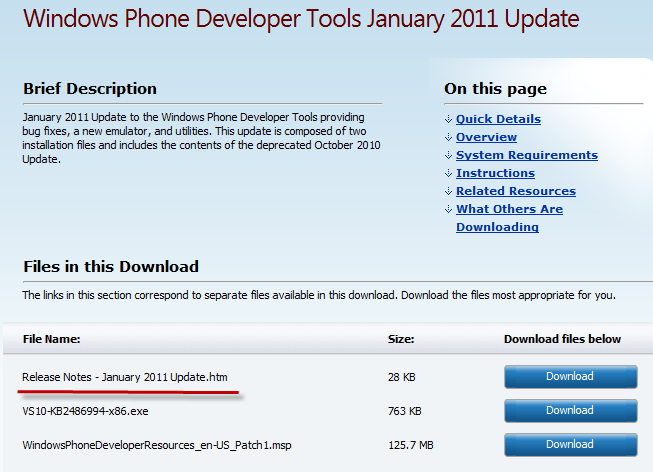 The default deployment target for Windows Phone Projects in Visual Studio changes to Windows Phone 7 Device. Before the update it defaulted to the Emulator. I found this extremely annoying as I’m more than likely going to test with the emulator before putting it on my actual device. Now to make things fair Microsoft told you they were going to switch the default and even provided a solution but you will have to check a tiny paragraph in the release notes. See the folder named “10.0”? Go ahead and delete it. Now the folder will be completely empty and if you fire up Visual Studio 2010 you will see we are now defaulting to the Emulator again. In my opinion this should have been left at Emulator. Now new WP7 developers will get a build error when they first start a WP7 project and will not know why until they read the error list.